Thanks to the most popular cryptocurrency – Bitcoin – blockchain technology has become popular all over the world. It is a database in which information once placed cannot be changed. This has attracted the attention of many industries that want to take advantage of these features and sometimes just want to raise the company’s stock price based on fashion for blockchain. In this lecture I will present algorithms and technical mechanisms thanks to which blockchain can work properly, what are its advantages and disadvantages and applications. 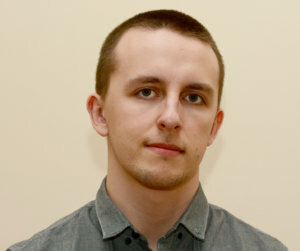 CEO FlyingAtom.io – organization of conferences and trainings about cryptocurrencies, cryptocurrency analyst on BitHub.pl portal.